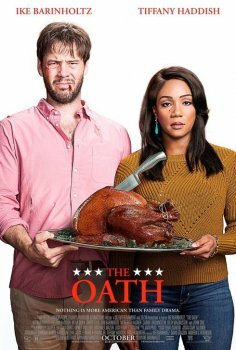 The Oath - Available as a download or stream? He directorial debut of Ike Barinholtz stars himself alongside Tiffany Haddish as a married couple who attend a hostile Thanksgiving dinner courtesy of a new controversial White House policy. The supporting cast features Billy Magnussen, John Cho, Meredith Hagner, Carrie Brownstein, Nora Dunn, Jon Barinholtz, Chris Ellis, and Priah Ferguson.